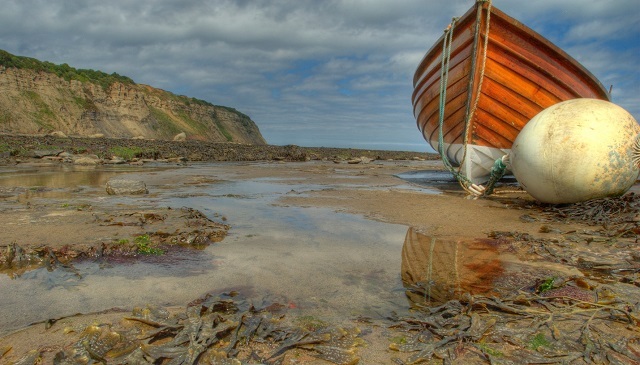 Located on the coast of North Yorkshire, the small fishing village of Robin Hood’s Bay is a perfect place if you want to spend your vacation away from the hustle and bustle of touristy locations. The village is situated in a cleft between two cliffs, giving the place a striking look. The cliffs tower over a cluster of former fishing cottages, which go on till the edge of the sea. The beautiful location creates a beautiful place which is a perfect getaway for anyone in search of breathtaking scenery and unusual architecture. The raw and elemental coastline of Yorkshire will surely take your breath away, as you spend your leisurely days at this pristine location. 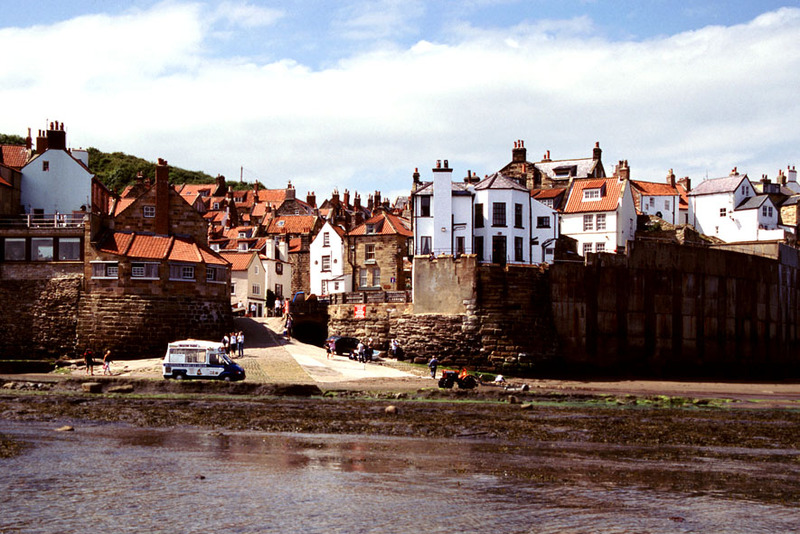 Here are some of the things that you can do during your stay in Robin Hood’s Bay besides enjoying the raw nature and untouched beauty, to turn your holiday into a memorable experience. The Robin Hood’s Bay Beach is not your everyday beach decorated with deckchairs and beach umbrellas. Instead, the beach here is much more untouched, pristine and unadulterated. Accessible during the low tide, the beach here is full of seashells and beach rock pools. You can enjoy a relaxing day walking on the beach, collecting some seashells, have ice cream from the beacon farm and chase crabs. It is truly a different kind of beach experience, and you will surely fall in love with this beach. 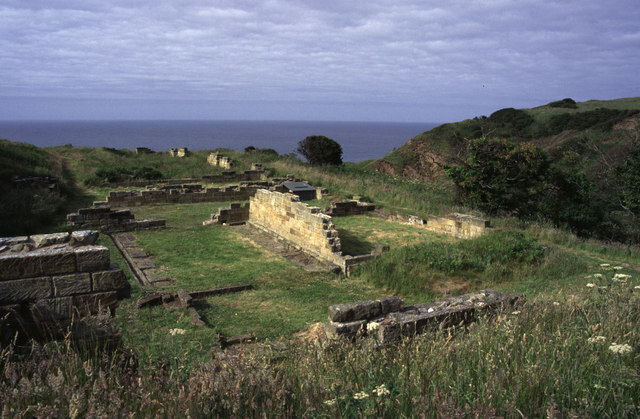 This industrial archaeological remains located on the Yorkshire Coast was the spot used for producing liquor from 1650-1860, which was then used in dyeing and tanning leather. You can take part in various hands-on activities and exhibitions at the site to explore the local geology and the wildlife. You can also visit the nearby Coastal Centre in Ravenscar village, where you can find out more about the 11 miles of beautiful coastline, which is taken care of and protected by the National Trust. The Farsyde Riding Centre is the perfect place for anyone who wants to enjoy the beautiful coastal scenery of the countryside while riding on a horse. Riders of any skill set can come here and enjoy this spectacular experience. If you are a capable rider, you can enjoy a ride along the beach, moors and the scenic former railway to Scarborough. Novice riders can enjoy a ride on more modest paths along this former railpath which climbs gradually towards Ravenscar while enjoying some breathtaking views of the bay. Whale watching is one of the biggest kept secrets of the coast of Yorkshire. The North Sea, just off Whitby, holds a rich variety of beautiful marine life just under its surface. And during the late summer and autumn months, huge groups of herring migrate to these waters. This huge shoals of herring, in turn, attracts a lot of sharks, birds, seals, white-beaked and bottle-nosed dolphins, Minke, humpback, sei and fin whales. You will get the opportunity of spotting all of these beautiful creatures and much more if you go on a whale watching tour while you are in Robin Hood’s Bay.